One year ago, I was privileged to stand before you, to take the oath of office as President of our dear country, the third to serve you as President since the return to democratic rule in 1999. Today, I remember that day and the processes leading to it with profound gratitude to God Almighty and to all Nigerians who have worked very hard to enrich our journey from military dictatorship to inclusive democratic governance. For the past 13 years, we have remained a stable democracy. We have together demonstrated that the government of the people is an ideal that the people of Nigeria cherish. We have our differences as individuals and as politicians, but we have shown great faith in democracy and its institutions. We have refused to be limited by our differences. Despite reservations about some of our institutions, we have refused to submit to despair. This achievement is a testament to the courage and optimism of the Nigerian people. As we celebrate this year’s Democracy Day, I pay tribute to all the men and women who have made our democratic experience meaningful: the ordinary people who resisted military rule, and have remained resolute in their embrace of democracy; the army of Nigerian voters who, at every election season, troop out in large numbers to exercise their right of franchise; the change agents in civil society who have remained ever watchful and vigilant. I pay special tribute also to all patriots who are the pillars of our collective journey, most especially, our armed forces who have steadfastly subordinated themselves to civil authority in the past 13 years. They have continued to demonstrate a great sense of professionalism. They have discharged their duties to the nation with honour and valour. In a sub-region that has witnessed instances of political instability, authored by restless soldiers, the Nigerian Armed Forces have remained professional in their support of democracy. When General Abdusalami Abubakar handed over the baton of authority to President Olusegun Obasanjo, in 1999, it was a turning point for Nigeria. We did not arrive at that turning point by accident. Many Nigerians laid down their lives for the transition to democracy to occur. Some were jailed. Media houses were attacked and shut down. But the people’s resolve was firm and unshakeable. This is what we remember. This is what we celebrate. On this day, I recall especially the martyrdom of Chief M. K. O. Abiola, whose presumed victory in the 1993 Presidential election, and death, while in custody, proved to be the catalyst for the people’s pro-democracy uprising. The greatest tribute that we can pay to him, and other departed heroes of Nigeria’s democracy, is to ensure that we continue to sustain and consolidate our democratic institutions and processes, and keep Hope alive. Let us individually and collectively, continue to keep the spirit of this day alive. No task is more important. We must continue to do well as a people and as a democracy. We must remember where we are coming from, so we can appreciate how far we have travelled. When I assumed office as Acting President, in 2010, on account of the health challenges suffered by late President Umaru Musa Yar’Adua, there was so much anxiety in the land. The tone of public debate was febrile. Some persons sought to use the situation in the country to sow the seeds of discord. My primary task at that time was to do all that was humanly possible to ensure stability within the polity. With the support and commitment of patriotic Nigerians from all walks of life, and the grace of the Almighty God, we were able to do so. On May 6, 2010, following President Yar’Adua’s death, I assumed office as substantive President. I subsequently presented myself as a candidate for the 2011 Presidential elections, with a promise that under my watch, the elections would be free, fair and credible. We kept faith with that promise. On May 29, 2011, I was sworn in as President, the fifth elected leader of Nigeria since independence. The success of the 2011 elections and the international acclaim that it generated was due to your patriotic zeal and commitment. I will like to seize this opportunity to thank all patriotic Nigerians who stood by us, and have remained unwavering in their support. These Nigerians understand one thing: that we all have a duty to protect and promote our country, and that this country belongs to all of us. Electoral contest is about values. We must not lose sight of those values that strengthen us as a people. As long as I am President, I will do my utmost to continue to work hard in pursuit of the common good. There are challenges, yes, but we are working hard to address those challenges. And, by God’s grace, we will succeed. My confidence is bolstered by the results which we have achieved in different sectors within the last twelve months. 10. Our democracy is stable. Its foundation is strong and firm. Its future is bright. Last year, I had spoken about the policy of “one man one vote, one woman, one vote, one youth, one vote”. I am glad to see that the Nigerian people in all elections have continued to respect the principle of fair play. Since this administration came into office, we have gone to great lengths to strengthen our democratic institutions, particularly the Independent National Electoral Commission. There are still persons who believe that elections should be violent and unhealthy, but they are in the minority. They will not derail our democracy because the majority of Nigerians will not allow them to do so. 11. Following the spate of violence, in some parts of the country, after the 2011 elections, our administration set up a committee on post-election violence to among other things, investigate the causes and nature of electoral violence and make appropriate recommendations. We will be guided by the White Paper, on that committee’s report, in dealing more firmly with electoral violence and fraud. This will include the establishment of Electoral Offences Tribunals to deal speedily with established cases of electoral violence. We cannot afford to treat the success we have recorded with our democratic experience with levity. Electoral reform is central to our administration’s transformation agenda. I urge all political parties to embrace this reform. 12. Our successful elections, last year, opened new vistas for Nigeria’s foreign policy. More than ever before, Nigeria’s achievements have generated a lot of international goodwill and recognition. We have continued to build on this by further showing leadership in the sub-region and the African continent. Under my watch as Chairman of the sub-regional body, ECOWAS, and subsequently, Nigeria was in the forefront of the efforts to ensure democratic stability in Niger, Mali, Guinea Bissau, and particularly at a critical moment in Cote d’Ivoire. Our foreign policy process has proven to be dynamic and pro-active. Nigeria’s place is secure among many friends in the comity of nations. We are building on that friendship to open up opportunities for foreign investments in the Nigerian economy and to provide necessary support for the vibrant community of Nigerians in the Diaspora. 13. We will continue to work hard, to turn domestic successes into a source of motivation for greater achievements in the international arena. We are fully aware that it is only when our people are happy and confident that they would be in a good position to walk tall in relating with others. Today, I want to talk about what we are doing and what we have done. I want to reassure you that we are making progress. But we can also do a lot more. We must. And we will. 15. Our economic outlook is positive. When I assumed office last year, there were still fears about the impact of the global economic recession, and implications for investments. Many Nigerians were worried about the growing rate of unemployment. In order to set Nigeria on a sound and sustainable path toward economic growth, this administration unveiled a set of priority policies, programmes, and projects encapsulated in the Transformation Agenda. These programmes and policies are aimed at consolidating our budget, fostering job creation, engendering private sector-led inclusive growth, and creating an enabling environment for businesses to thrive for the ultimate betterment of the lives of Nigerians. 16. Today, progress has been made. The country’s credit rating is positive, in contrast with many nations being downgraded. In 2011, our economy grew by 7.45%. As at mid-May 2012, our foreign exchange reserves had risen to $37.02 billion, the highest level in 21 months. We have stabilized and improved our fiscal regime. We brought the fiscal deficit down to 2. 85% of GDP from 2.9% in 2011. We reduced recurrent expenditures from 74% to 71% and reduced domestic borrowing from N852 billion in 2011 to N744 billion in 2012. We cut out over N100 billion of non-essential expenditure and increased our internally generated revenue from N200 billion to N467 billion. 17. For the first time in over a decade, we now have a draft Trade Policy which provides a multi-dimensional framework to boost our trade regime and facilitate the inflow of investments. We have generated over N6. 6 trillion worth of investment commitments. The total value of our trade is also much higher than the value estimated the previous year due to deliberate government policies. To facilitate the ease of doing business in Nigeria, we have a policy in place to make visa procurement easier for foreign investors, with safeguards to prevent abuse. 18.The goal of our administration is to ensure that every Nigerian can find gainful employment. Given my dissatisfaction with the prevailing unemployment situation in the country, our administration has embarked on an ambitious strategy of creating jobs and job-creators through the launch of several initiatives mainly targeted at the youths and women. 19. In October 2011, we launched the Youth Enterprise with Innovation in Nigeria Programme, designed to encourage entrepreneurship and provide grants for small and medium scale enterprises. Over 1, 200 Nigerian youths have benefitted from this initiative. We have also launched the Public Works Women and Youth Empowerment Programme, which is designed to employ 370, 000 youths per annum, with 30% of the jobs specially reserved for women. Let me make it clear here that our YouWIN programme is designed to nurture and mentor young entrepreneurs to become major players, employers and wealth creators in business. We are gradually reducing the footprints of government in business activities through privatization, liberalization and deregulation based on our recognition that the private sector should be the engine of growth in our economy. To ensure that the private sector is well positioned for this task, our administration has embarked on key structural reforms in the Power Sector and at the Ports. 21. To improve reliable power supply, our administration is judiciously implementing the Power Sector Roadmap, which is at an advanced stage, to fully privatize power generation and distribution while reducing the cost of electricity to rural households and the urban poor. 22. The commitment of this Administration to the provision of regular and uninterrupted power supply remains strong and unwavering. We all agree that adequate and regular power supply will be the significant trigger to enhance this nation’s productive capacity and accelerate growth. It is for this reason that I remain optimistic that the reforms we have initiated, the decisions we have taken so far and the plans we intend to faithfully prosecute will yield the desired results. To underline this commitment, three weeks ago, I convened a special session on Power and gave specific instructions on the fast tracking of gas production and delivery to ensure improved availability of power. I also directed that the power sector reforms must continue on schedule and that privatization of the sector must be completed according to plan. 2 Our approach is two-pronged: First, is the immediate repair of power plants, as well as transmission and distribution infrastructure in the short term. The second is the building of institutions and the provision of enablers to attract investors. We have revived and are accelerating the completion of the National Integrated Power Projects. We are also building about 4000km of transmission lines and hundreds of substations. We have completed the design for the construction of both Mambilla and Zungeru Hydro power plants which will add about 3, 000 MW to the national grid. 25. By mid 2010, the national power output was about 2, 800 MW. By the end of 2011, we reached a peak of more than 4, 000 MW. A National Gas Emergency Plan has also been launched to redress the problem of gas supply which arose essentially due to poor planning. 26. For long-term power availability, we have strengthened a number of key institutions such as the Nigerian Electricity Regulatory Commission, the Bulk Trader, the National Power Training Institute of Nigeria, and others. We are also working with the World Bank to provide guarantees for gas and power providers. The signing of MOUs with World Leaders in power equipment – General Electric of USA and Siemens of Germany as well as US and China Exim Banks for financial investment, is a clear indication of the level of confidence which the world investment community has in our power sector road map. 27. In addition, the privatisation programme has attracted expression of interest from 131 companies across the globe. Our decision to bring in the private sector is clearly intended to achieve our target of generating and distributing sufficient and reliable power within the shortest time possible. With the measures we have put in place, we will surely achieve success in transforming the power sector. 28. We have also focused our efforts on Ports and Customs reforms to ensure efficiency in the handling of ports and port-related businesses. Our administration has streamlined bureaucratic activities at the Ports by reducing the number of agencies from 14 to 7. We have also reduced the time for the clearance of goods from about a month, to seven days, with the long-term objective of ensuring that cargoes are cleared within 48 hours in line with international best practice. In the meantime, our ports, for the first time, now open for business for 24 hours. 29. In the Oil and Gas Sector, our Administration has charted a new course that will ensure enduring transparency and accountability. We are re-drafting the Petroleum Industry Bill (PIB) to ensure it meets the aspirations of all Stakeholders given the current realities and future expectations in the global energy landscape. Work on the PIB will be concluded in June 2012 and formally submitted to the National Assembly. Additionally, Special Task Forces dealing with Governance and Control, Petroleum Revenue and National refineries are finalizing their work to ensure probity across the oil and gas sector, and self-sufficiency in refined petroleum products. 30. In the Downstream Sector, the Nigerian Content Development Act, since inception in 2010, has boosted the local production of line pipes, in-country fabrication tonnage and engineering support services. As a result, retained in-country spend has grown from approximately US $1bn to a current estimate of US$4bn, and over US$3 billion Foreign Direct Investment has been brought in for upgrading and building new yards, altogether generating over 120,000 direct and indirect jobs. 31. Capacity utilization of existing domestic refineries has greatly improved from 30 to 60 percent. We have commenced the phased plan to return the refineries to 90 percent capacity utilization with the expected completion of the rehabilitation of Port Harcourt refinery by the end of 2012, to be followed by Warri and Kaduna refineries in 2013. 32. In the Upstream Sector, the April 2012 commissioning of the Usan Deep Offshore Field has increased crude oil production capacity by 180 thousand barrels per day. Also, Government continues to support the National Oil Company, NPDC, by assigning 55% equity in 8 divested blocks which has resulted in increase in reserves from 350 million barrels to 2.1 billion barrels and 160, 000 barrels of production. We have also made significant progress in gas infrastructure development, investing close to US$1bn for the construction of some 1000 km of pipelines, gas supply growth and stimulation of gas industrialization. Between now and the third quarter of 2013, Final Investment Decisions (FIDs) will be made on gas-based industries, such as the petrochemicals and fertilizer plants at Koko, the Central Processing Units (CPF) in Obiafu/Obrikom, and the gas growth projects. 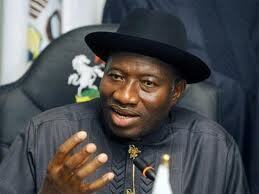 Also, the sum of N11 billion is provided in the 2012 Budget for Hydro-Carbon exploration in the Lake Chad Basin. 33. The Gas Revolution initiative will fully support and sustain domestic power, whilst creating Africa’s largest gas based industrial park, which on completion will underpin the creation of over a million jobs and attract over US$16 billion in Foreign Direct Investment. To protect the gains of these initiatives for all Nigerians, we are aggressively addressing the increasing incidents of crude oil theft and other criminal activities in the sector. 34. As a deliberate move, our goal is to transform Nigeria from a mono-modal economy, to a diversified one. The sector that we are focusing on to diversify our economy – and one in which Nigeria has huge comparative advantage – is the agriculture sector. Agriculture accounts for about 40% of our GDP and over 70% of all employment. Increases in agricultural productivity will drive down rural poverty and revive our rural economy. In this regard, we are aggressively pursuing an agricultural transformation agenda. Agriculture is no longer a development programme. We are now treating agriculture as a business, one that can generate wealth and create jobs for millions of our youths. 36. We have implemented major reforms in the sector, notably in the fertilizer sub-sector. We have ended the practice of Federal Government procurement and distribution of fertilizers. This we did because only 11% of farmers get the fertilizers that are bought and distributed by government. The old system encouraged rent seekers to collude and deprive farmers of access to fertilizers, while some of the fertilizers ended up with political farmers and in neighbouring countries. Now, the procurement and commercialization of fertilizers and seeds have been fully deregulated to the private sector. We have ended the culture of corruption in fertilizer procurement. We must also end the era of food imports. Nigeria spends over 10 billion dollars every year importing wheat, rice, sugar and fish alone. This is unacceptable. 38. Our agricultural transformation agenda is directed at promoting local production, substituting for imported foods, and adding value to our locally produced crops. We are recording successes already. Government’s policy to ensure rice self-sufficiency by 2015 is already paying off. New rice mills are being established by the private sector to mill locally produced rice. Ebony Agro Industries located in Ikwo Local Government Area of Ebonyi State has rolled out its high quality parboiled rice. In Kano, Umza rice mill has taken off and can hardly meet demand, while in Benue State Ashi rice has hit the market. Consumers are buying more of Abakaliki and Ofada rice too. 39. To further accelerate the local production and milling of high quality rice, government is facilitating the import and installation of 100 new large scale integrated rice mills across the country. This will allow Nigeria, for the first time in its history, to have the capacity to mill all of the rice that we consume. 40. Our cassava policy is working, as we accelerate the pace of utilization of cassava to create markets for millions of our farmers. Our goal is a bold one: we will make Nigeria, which is the largest producer of cassava in the world, to also become the largest processor of high value cassava products in the world. 41. To further encourage cassava utilization and value-added products, government will support corporate bakers and master bakers across the country to use high quality cassava flour for baking. Last year I announced an increase in tariff and levy on wheat. To encourage the cassava flour inclusion policy, I now direct that part of the levy and tariff on wheat be set aside to support the promotion of high quality cassava flour and composite cassava bread. This will include support for needed enzymes, technical training and equipment for corporate bakers and master bakers, as well as accelerated cassava production. 42. We have also secured markets for cassava outside Nigeria, and for the first time ever, Nigeria will export this year 1 million metric tons of dried cassava chips to China. This will earn Nigeria 136 million US dollars in foreign exchange. Last week we also successfully started the commercial use of feed grade cassava grits, produced locally, for use in our poultry industry. 43. We are reviving our lost glory in cocoa, with massive distribution of 3.6 million pods of high-yielding cocoa varieties for farmers all across the cocoa growing states of the country. The pods will be provided free of charge. We are reviving cotton production in the North, as well. I have directed that all seeds for cotton should be provided, free of charge, to all cotton farmers. 44. Let me reiterate my personal passion and commitment to driving the agricultural transformation for Nigeria. The prosperity of Nigeria must start with improving the living standards of our farmers, and revitalizing rural economies across the nation. The newly inaugurated Agricultural Transformation Implementation Council, which I personally Chair, will further drive our continued revolution of the sector. Our goal is to add 20 million metric tons of food to our domestic food supply by 2015 and create 3.5 million jobs. To achieve this, the appropriate infrastructure to support all-year round farming through irrigation is being rehabilitated and developed across the country. 45. We must use our population to create markets for what we produce. We must grow local, buy local and eat local. To promote this, I have directed that all official functions of government serve local foods, especially our local rice and cassava bread and other foods. In the State House, I am faithfully keeping to my promise of eating cassava bread and local rice. 46. Our administration is committed to the rapid and beneficial development of our country’s Minerals and metals potential. In the last year, we recorded remarkable achievements in Mines and Steel Development. We increased the number of investors in the mining sector due to the transparent manner in which titles are now issued on a “first come-first served and use it or lose it basis.” A total of 2,476 active mineral titles were issued compared to 666 titles issued out in the previous year, thereby reducing, significantly, illegal mining activities. About 350, 000 additional jobs were created, arising from the activities of newly registered operators. We have initiated a programme to support private steel production outfits. This has resulted in an increase in production figures for steel and other metals to over 1 million tonnes. It is our collective desire as Nigerians to improve the standard of education. We are particularly aggressive in addressing this challenge. As a former school teacher, I know that it is not enough to create jobs; we must develop human capacity, and train a generation of Nigerian children with better competencies and skills. This will grant them the edge that they require to compete in a skills-driven global economy, and by extension, strengthen our national competitiveness index. 48. I want every Nigerian child to have an opportunity to receive quality education and acquire useful skills. We are reforming the education sector from basic to tertiary level. The Federal Government recently launched the Almajiri Education Programme to reduce the number of out-of-school children which currently stands at about 9 million. Similar programmes will soon be introduced in various parts of the country. At the tertiary level, it is the policy of this administration that every State will have a Federal University. 49. To this end, we have established within the last year, nine (9) new Federal Universities and licensed nine (9) new private universities, bringing the total number of universities in the country to 124. Even with this, there is still the challenge of getting adequate admission space for prospective undergraduates. While we are addressing this, the Federal Government is also conscious of the fact that our universities need to be better equipped, particularly with well trained teachers. Government is, therefore, working on a programme to provide scholarships for Nigerians who are interested in academics, to enable them obtain their Doctorate degrees within and outside the country. 50. In addition, the Federal Government has launched a Special Presidential Scholarship Scheme for our best and brightest brains. We are selecting the best out of our First Class graduates in various disciplines, especially engineering and science. They will be sent for post-graduate studies in the best universities in the world, with the expectation that this will lay the foundation for a desirable scientific and technological revolution that will take Nigeria into Space in the not too distant future. 51. One of the first steps taken by this administration was the creation of a Ministry of Communications Technology. Its mandate includes the design of programmes and initiatives to deploy ICT as a driver of sustainable growth and the training of skilled manpower. For our country to remain relevant, we need to adequately educate our people, as it is through education that we can turn our people into assets that can help Nigeria compete globally, and create jobs in the new knowledge economy. 52. By the same token, the Ministry of Niger Delta Affairs is providing training opportunities for the youths in the Niger Delta. In the past year, a total of 704 youths have been sent for training, abroad and locally, in various fields of endeavour, including agriculture, petroleum engineering, commerce, tourism, and maritime studies. Nine skills centres are being built, one in each of the nine states of the Niger Delta; three of them will be completed this year. 53. An efficient and affordable public transport system remains a priority of this Administration. Our transformation agenda in the road sector which seeks to deliver better and safer roads to Nigerians, as well as to link the six geo-political zones in the country with dual carriageways, is very much on course. There has been increased construction activities in the ongoing dualisation of Abuja–Abaji–Lokoja Road, Kano–Potiskum–Maiduguri Road; the Benin–Ore–Shagamu Expressway; the Onitsha–Enugu Expressway; and the construction of the Loko–Oweto bridge, across River Benue. Work has been slow on the East-West road due to budgetary constraints, but government will discharge all liabilities to contractors before the end of June, and funds for the remaining part of the year, will be provided to accelerate the pace of work. In other parts of the country, about 21 other road projects are in different stages of completion. These include the Yola–Numan road, Aba–Owerri road, Owerri–Onitsha expressway, Oyo–Ogbomosho old road, and the Gombe-Potiskum road. Many others are at different stages of completion. Government is also currently rehabilitating about 3,000 kms out of the 3,505 km existing narrow gauge rail lines across the country. The Lagos-Kano corridor will be completed this year, while the Port Harcourt-Maiduguri corridor, which has equally commenced, will be completed by the end of 2013. We have also commenced the construction of the Abuja–Kaduna segment of the Lagos–Kano standard gauge rail lines, while the Lagos–Ibadan segment will be awarded this year. The Itakpe–Ajaokuta–Warri standard gauge rail line is nearing completion with the entire tracks completely laid. 56. To enhance sustainability in the rail sector, this Administration has signed a Memorandum of Understanding with General Electric (GE) to establish a locomotive assembly plant in the country. Our goal is to make Nigeria a major hub in West and Central Africa. 57. Within the last 12 months, we completed the capital dredging of the Lower River Niger from Warri (Delta State) to Baro (Niger State) to boost our inland water transportation. This year, work will commence on the dredging of the River Benue in addition to the construction of River Ports at Baro (Niger State), Oguta (Imo State), and Jamata/Lokoja, (Kogi State). The Onitsha River Port in Anambra State, equipped with modern cargo handling equipment, has been completed and I shall be commissioning the project in the next few weeks. 58. The Aviation sector remains pivotal to our economic growth. Within the last year, we have developed a road map for the restoration of decaying facilities and infrastructure, some of which had not been attended to since they were first constructed over 30 years ago. Currently, we are renovating airports across the country and have begun the development of four new international terminals at Lagos, Port Harcourt, Kano and Abuja. We have also reviewed our Bilateral Air Service Agreements to ensure improved service delivery, and more customer-friendly processes. We are working to ensure that within the life of this Administration, the aviation sector in Nigeria will be transformed into a world class and self-sustaining provider of safe, secure and comfortable air transportation. 59. Globally, the role of women in governance has assumed great significance. In Nigeria, it is also widely acknowledged that women who constitute about half of the Nigerian population are great and invaluable assets, in both the public and private spheres. On our part, we have demonstrated serious commitment in further empowering women and projecting their role in public life. Out of the 42 members of the Federal Executive Council, 13 are women, heading major Ministries of Government. 60. Last week, I appointed the first female Chairman of the Federal Civil Service Commission. In the Armed Forces, female cadets have been admitted into the prestigious Nigerian Defence Academy, an institution that was hitherto an exclusive preserve of men. The first set will graduate in 2016. This year, we reached a significant milestone as the Nigerian Air Force produced the first Nigerian female combatant pilot. Our administration will continue to empower women and the girl-child as a focal point of our Transformation Agenda. 61. More than anything else, health matters. We are upgrading the country’s tertiary health facilities to bring them up to international standards. We have increased funding for health-related MDGs. We are also committed to reducing maternal and infant mortality, and to eradicating polio completely by 2014. 62. I want to reassure all Nigerians that this administration remains committed to waging a sustained battle against the menace of corruption. In the last one year, we have taken specific steps to reduce opportunities and avenues for corruption, and to strengthen the capacity and integrity of our institutions. For example, our ports reform programme has reduced the number of agencies at the ports which hitherto frustrated the speedy clearance of goods at the ports. We have also cleared the stretch of trailers and lorries blocking the Apapa Expressway. We have put an end to the fertilizer and tractor scam that once dominated the agricultural sector. Our review of the pension payment system has also blown the whistle on corrupt practices which are now being addressed. Let me end this address at the point where I began. What matters most to all of us, is Nigeria. It is what binds us together. We have a duty to be loyal to our country. If we believe this to be a sacred obligation, it will not matter whether we are Christians or Muslims, or politicians, irrespective of political parties or divide. It really will not matter whether we are civil society agents, social activists or union leaders. What matters is Nigeria. This nation exists because we are one. We must, therefore, remain as one family, and work together to defend our country.